A shipping packing list is also called delivery docket, it shows what goods included on shipment, also serve as a bill of lading. It is naturally close related to invoices. 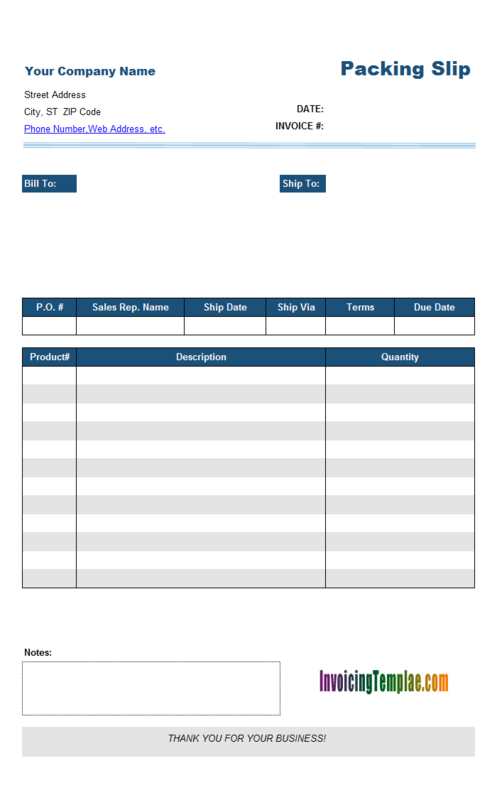 In this sample template we demonstrates how to create a packing list and an invoice within one same form. 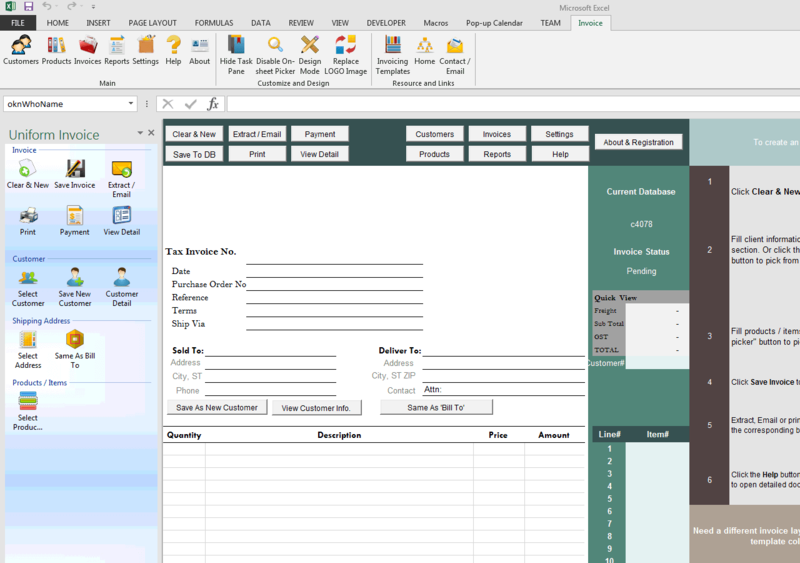 c4078 now includes the customized invoice template for the latest version of Invoice Manager for Excel. This is what you will see when you open invoice-and-packing-list-on-same-form.xlsx. 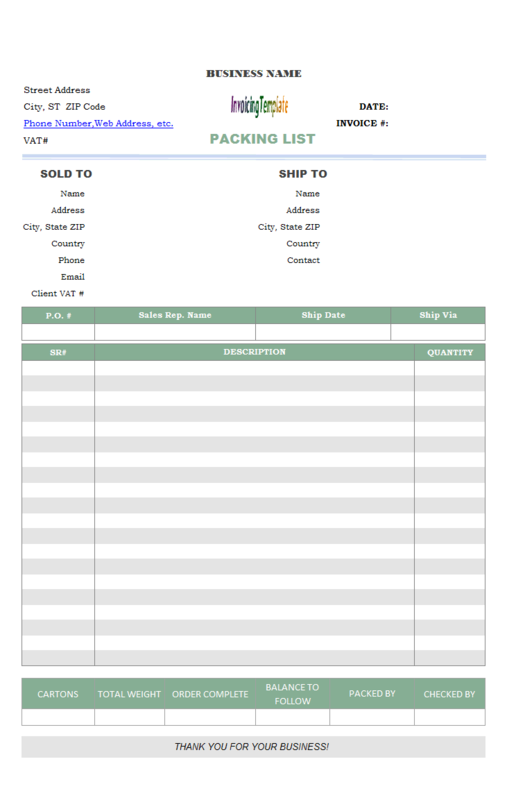 The packing slip template here on Invoicing Template shows you how to create a standalone pack list template. With the help of Invoice Manager for Excel (namely Uniform Invoice Software), you can easily loaded an existing invoice using the packing list template, and thus to print the packing list for shipment using the packing list template. 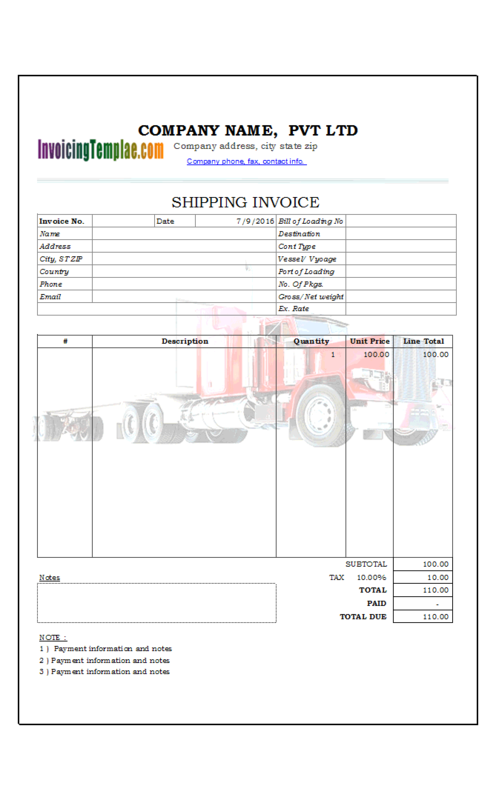 If you always have the need to print both an invoice and a packing list at the same time, then consider to have both documents - invoice and packing list, on the same form, as shown in this sample. 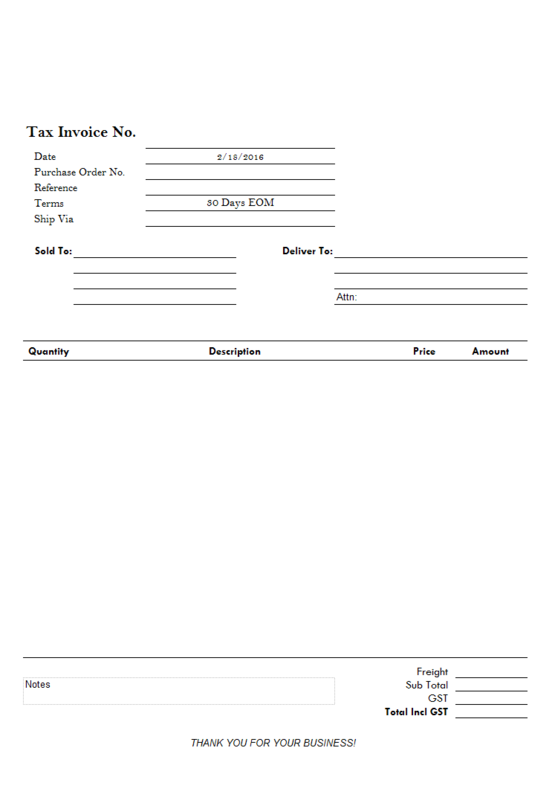 In this template sample, we will use c4074 Simple Invoice Template for Letterhead Paper as the basic template, and add a packing list to the same form on the "Invoice" worksheet, so that when an invoice is printed a corresponding packing list will be printed too. Let's see the detailed procedures and steps involved in this customization. First, backup the template that you want to customize. It seems redundant that we repeat this in every tutorials targeted to simple invoice template customizations. But it is important and highly recommended that you do so. Baking up data frequently saves you a lot time and efforts when the newest version of data is lost. 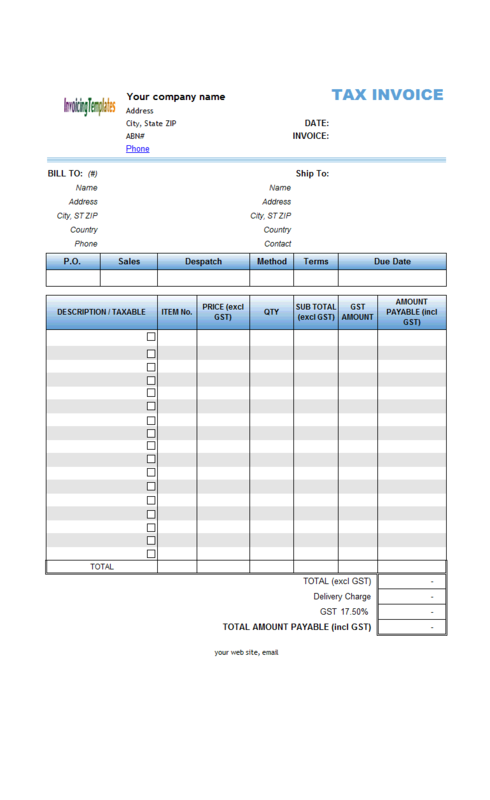 Switch to design mode by clicking the "Design Mode" button on the "Invoice" worksheet. Pull down the name box located on the left-end of the formula bar. On the end of the name list you'll find "Print_Area". Click to select it. Excel select all the cell defined by the "Print_Area" name. This is the printable area that is printed when you print the current worksheet. On Excel "Home" ribbon tab, click "Copy" in the "Clipboard" group. 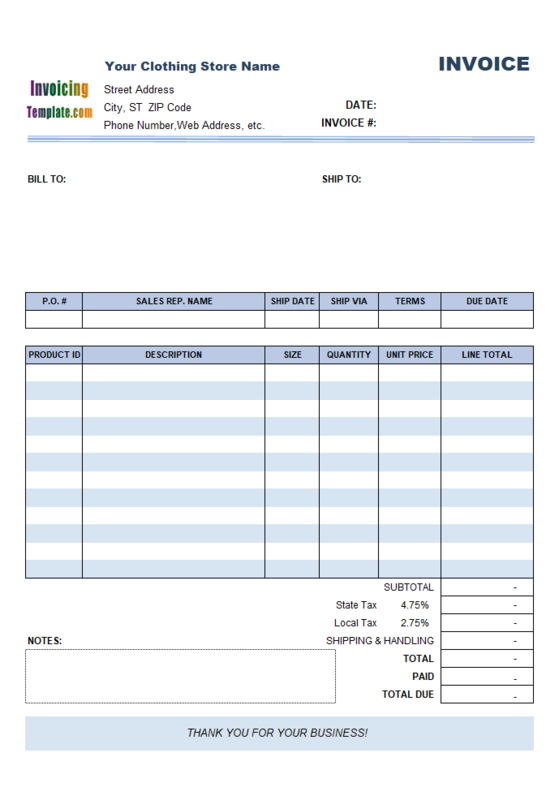 This copies the entire printable invoice form to the clipboard. Choose an empty area underneath the existing printable form. 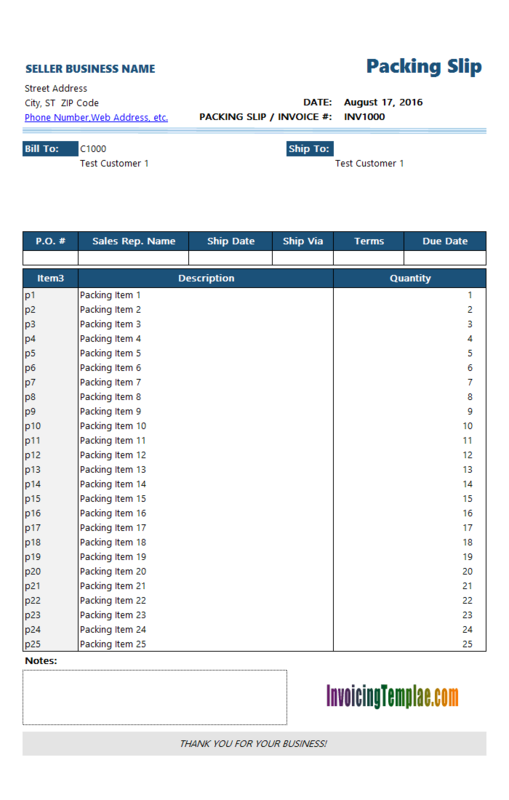 In this sample, our original printable area is defined at D2:L47, so we click and select D50, this will be our starting cell of the new packing list form. On Excel "Home" ribbon tab, pull down "Paste" in the "Clipboard" group and then choose "Paste All". Now the key step - pull down "Paste" in the "Clipboard" command group again, chose "Paste Link" in the "Other Paste Option" section. This will create a simple formula for each cell in the paste destination section. 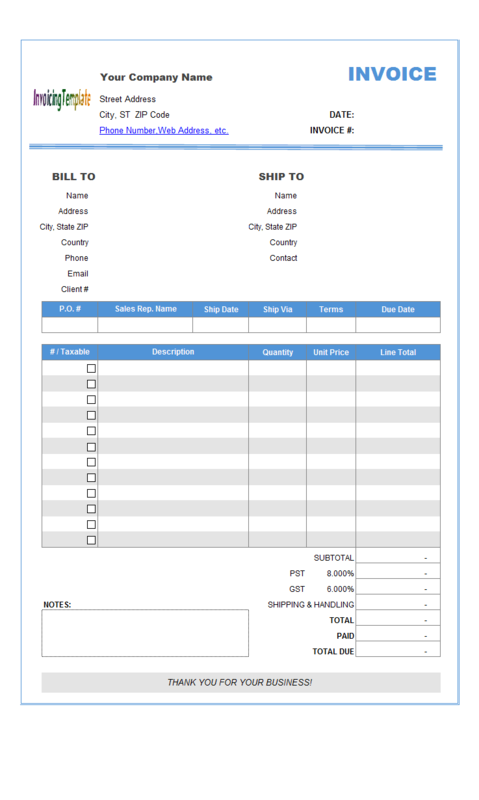 The simple formula retrieves data from the original printable form (the invoice form), fill it in the packing list section. This way, if we you fill in the invoice data, either manually or loading an existing invoice from database by using Invoice Manager for Excel (namely Uniform Invoice Software), the data of the packing list is automatically filled. Till now our new packing list form has exactly the same format and content as the invoice. Modify it to make it meets your requirements of packing slip. 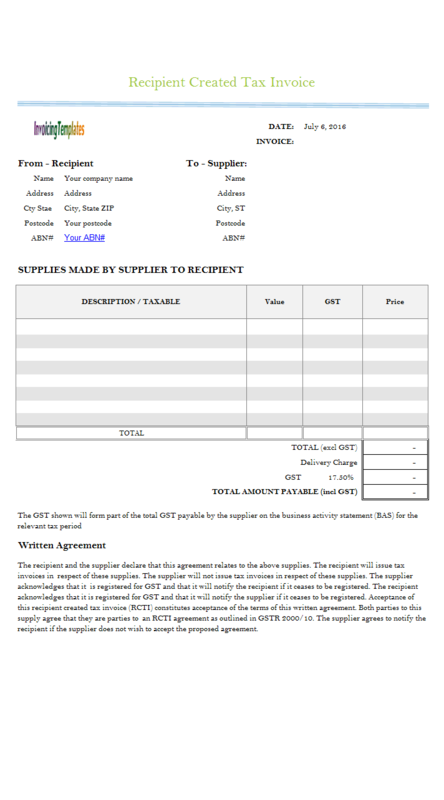 For example, change the title from "Tax Invoice" to "Delivery Docket". 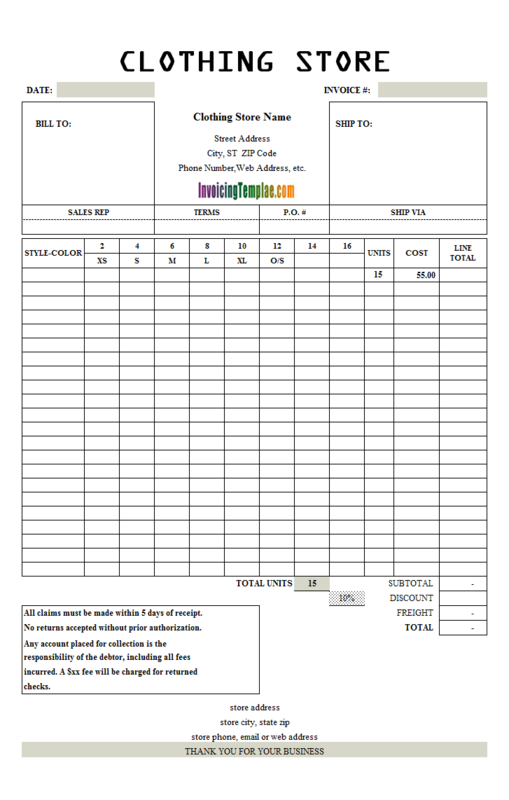 In this sample, we also clear the "Price" and "Amount" column, and then expand the "Description" column. 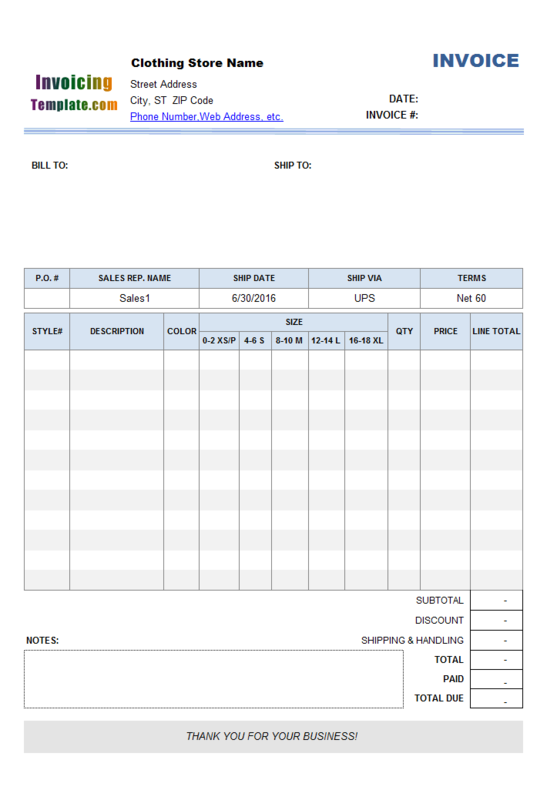 With this sample template, we also cleared the bottom section that details "Freight", "GST", "Total Incl. GST" etc., as they are usually not required on a packing list. Add your notes and declarations to the form, usually bottom of the form. It is also common to add fields for manually singed. For example, we added "Signed", "Sign Date", "Print Name" and "Print Date". Once the design of the packing list is finished, select all the cells inside the packing list. Lock all the cells. Now once again, select "Print_Area" from the name box on the left end of the formula bar. This selects the original printable area. Now push down the CTRL key on the keyboard, drag mouse to select the new packing list area - in this sample, it is D50:L92. With both the invoice and packing list form selected, from Excel "Page Layout" ribbon choose "Print Area", and then "Set Print Area". This define the new printable form. As you can see, the print area could be discrete area that contains multiple ranges. Go to Excel menu File / Print Preview. Make sure the worksheet will be printed on 2 pages. Exit design mode once you have done the customization. Now when you click Print to print an invoice, Invoice Manager for Excel (namely Uniform Invoice Software) will print two documents, one invoice and one packing list. However the "Extract" feature will encounter problems if you choose the exact an Excel-format worksheet - but the PDF formatted invoice and packing list work just fine. 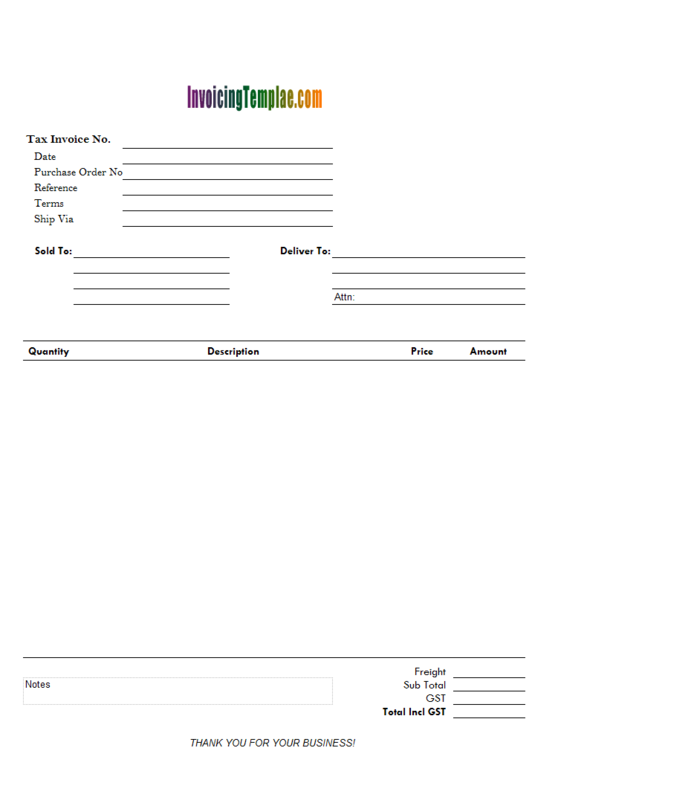 Feel free to take a look of our pdf invoice template gallery too. To overcome the drawback of having to always print the two documents (invoice and packing list) at the same time (well, someone see this as drawback, others may find it handy), place the packing list on another worksheet. This way, the packing list worksheet can have its own "Print_Area" definition, and thus could be printed separately. We'll address this with another tutorial. 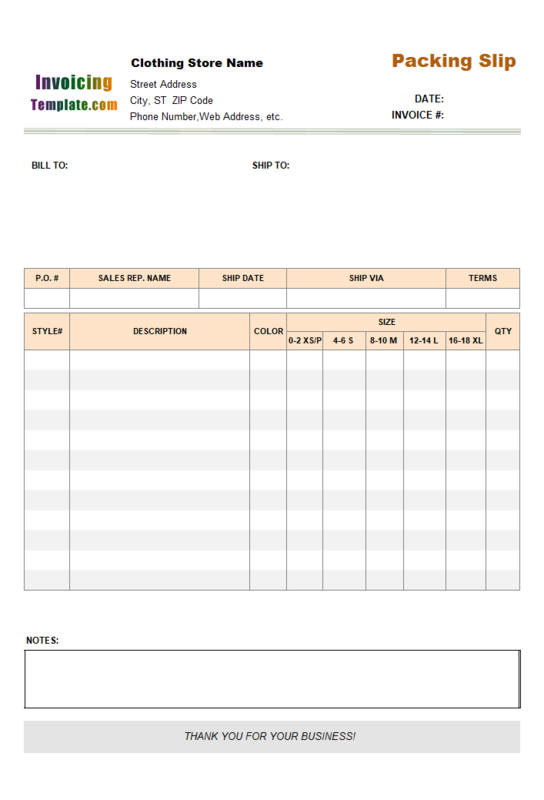 Like other form designs here on InvoicingTemplate.com, Invoice and Packing Slip on Same Form is free (offered to you at a price of 0.00USD). It works on Windows XP and all newer versions of Windows, and Excel 2007, 2010, 2013 or 2016.